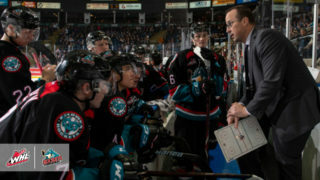 From Game One through to Game 748 of the 2018-19 Western Hockey League Regular Season, you’d be hard-pressed to find a team that would pass up the opportunity at two points. For it to come at the expense of a provincial rival? Well, that has all the makings of a classic battle on Access TV Friday when the Regina Pats make their second trip of the season take on the Saskatoon Blades at the SaskTel Centre. From the Blades’ perspective, they enter Friday’s match with a 2-2-1-0 record in their past five games. The Blades have done well to keep themselves in second place, but they still face pressure from the Moose Jaw Warriors, who sit just five points back with four games in hand on Saskatoon. 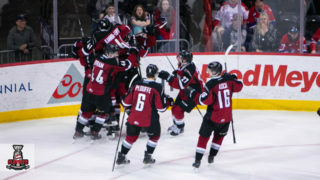 Looking to make their first appearance in the WHL Playoffs since 2013, the Blades have all but assured themselves of a spot heading into the final third of the season. Still, maintaining that position will be no easy feat over their final 23 games, 16 of which will come against the East Division. Leading the Blades in scoring through 2019 is the 19-year-old Gary Haden with nine points (2G-7A) in seven games, part of an offensive resurgence with the Blades that has seen him post 35 points (15G-20A) in 32 games with the Blades. 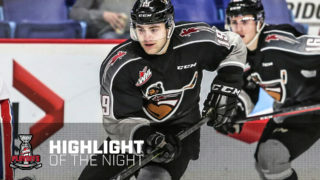 Returning from an injury that has sidelined him recently, 2019 NHL Draft prospect Kirby Dach picked up where he left off in early January, extending his point streak to four games with a goal and an assist over his team’s two games last weekend at home, giving him six points (3G-3A) in those four games. The big news for the Fort Saskatchewan, Alta. product was that he’ll be headed back to his home province next week for the 2019 Sherwin-Williams CHL/NHL Top Prospects Game as the captain of Team Orr. Led by Dach’s production the Blades are one of just six teams with at least three players totaling 40 points or more on their roster. 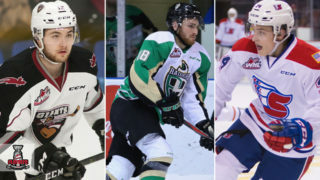 It’s a trait shared with East Division rivals like the Warriors and Prince Albert Raiders, but the larger point is that the Blades have thrived while scoring the fifth-most goals in the league, also allowing the seventh-least among all 22 WHL teams. 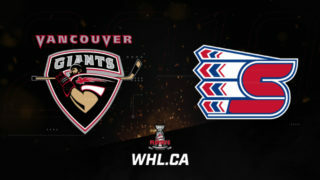 Challenging them will be the Pats, a mainstay in the WHL on Access Spotlight. 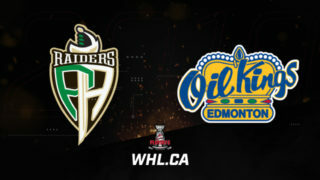 While the Blades have rightfully defended their home turf with six wins in the past 10 games between the two clubs at the SaskTel Centre, the Pats still hold a respectable 4-3-2-1 record from those 10 games and will look to add to that success in what has always been a hotly-contested rivalry, regardless of where the two teams are in the standings. On an eight-game winless streak at 0-7-1-0, the Pats are in need of a victory as much as the Blades are, to boost the team going forward. A tough one-goal loss at the hands of the Kootenay ICE this week put the Pats down a spot in the Eastern Conference rankings as the ICE leapfrogged them. Having a chance to reverse that positioning almost immediately would be a shot of confidence in the arm for the Queen City team. Heading into this weekend, rookie forward Riley Krane and second-year forward Sebastian Streu have flourished in 2019. The pair have combined for 14 points (7G-7A) in the last eight games for the Pats, tying them for the scoring lead in the new year. Streu has four goals while Krane has four assists in that stretch. As much as the focus for the Pats remains on building to the future, there’s plenty the club can learn from their remaining 23 games of the regular season. Catch all the action like from the SaskTel Centre in WHL on Access action! GAME DAY PREVIEW: Pats kick off home and home with Blades Friday in Saskatoon!